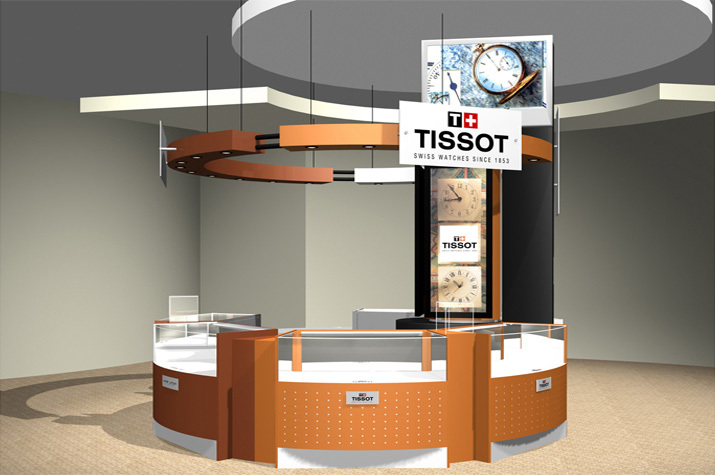 The Client: More than those unmistakably fun collections of popular watches, the Swatch brand is about a smart and creative community of youthful, active, loyal fans. 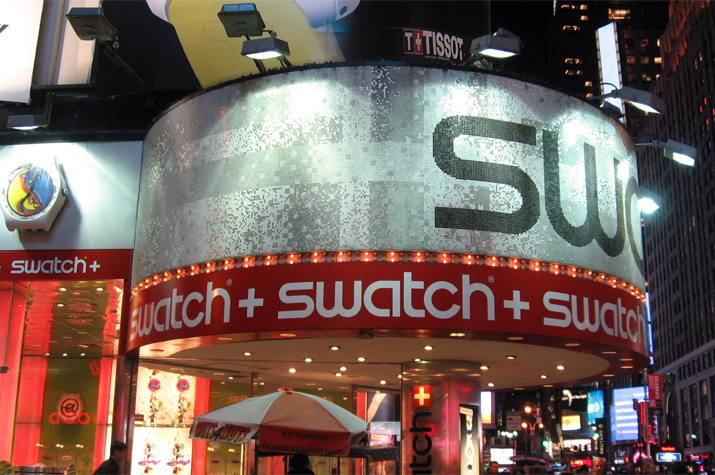 Swatch aficionados enjoy a lifestyle magazine and the emotional connection of club membership. 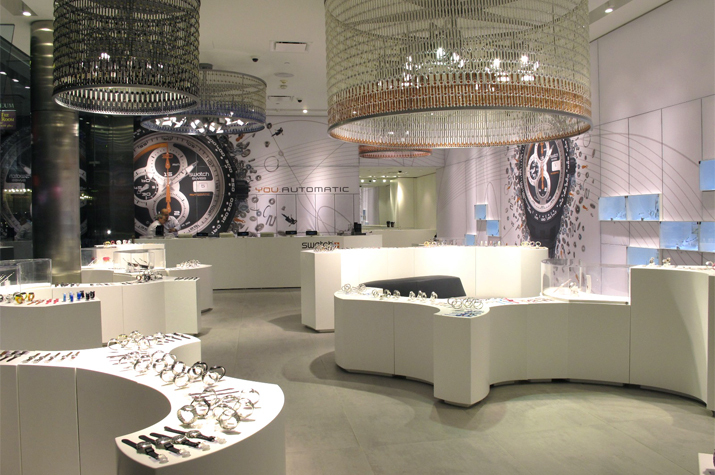 The Swatch Group selected the Zamparelli Architectural Group to design their worldwide flagship store in Times Square, New York. 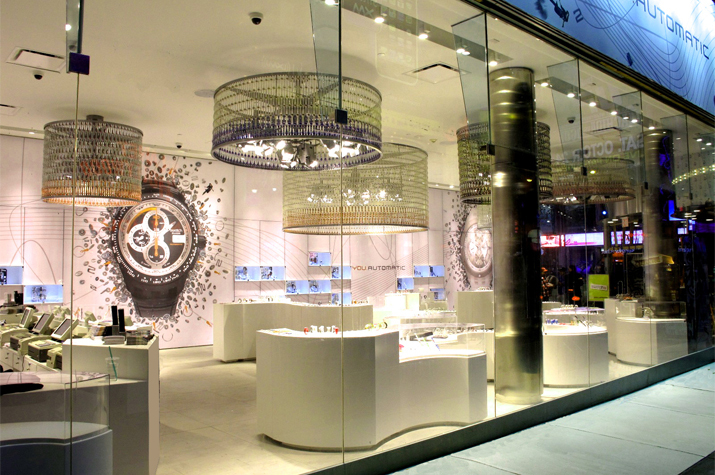 The Project: With its prominent Times Square location, the flagship store had to create high visual impact to compete with other fine retailers in the area. The scope of the project included both the interior design as well as the exterior facade. The ZAG interior plan incorporated the sales area, conference room and support areas. For the exterior, ZAG designed a structural glass storefront system and a marquee integrating signage, lighting, steel structural elements, and mosaic tile. 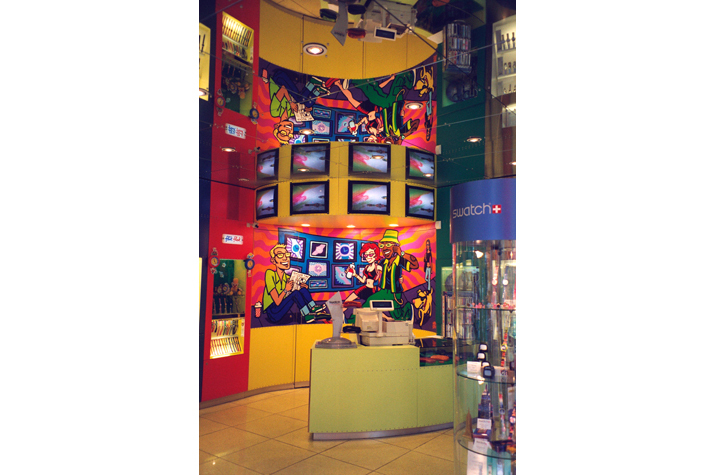 The team coordinated with engineering consultants, building department expediters, lighting and signage specialists. 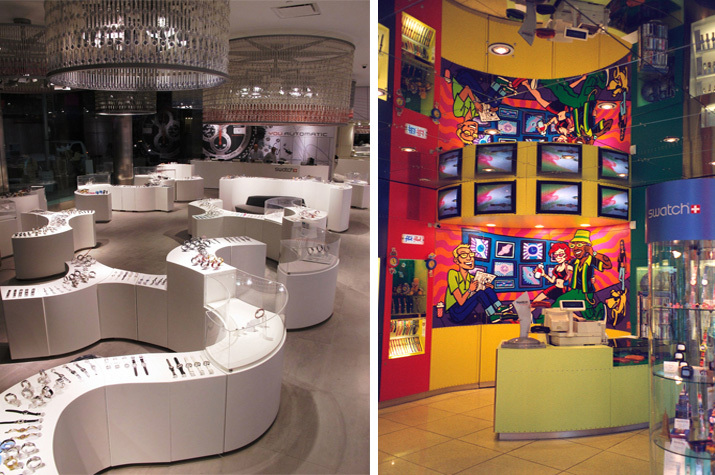 In addition to the Times Square store, ZAG completed over 100 projects throughout the U.S., Canada and the Caribbean.